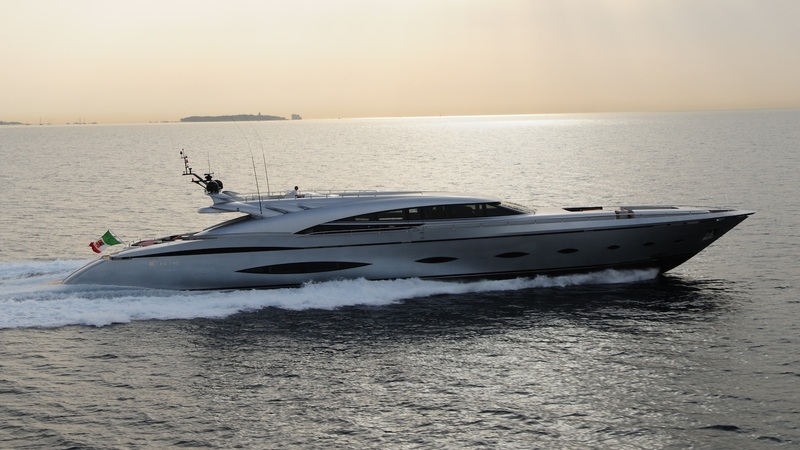 My Toy is the perfect yacht for charterers looking for a combination of speed and luxury. This stylish yacht boasts streamlined and aerodynamic external lines and 34 knots of cruising speed. The large open aft deck provides a great spot to dine al fresco or enjoy lounging on the large sun beds. She has a subtle modern interior and following a refit in 2013 is able to accommodate up to ten guests in a master cabin with a double bed and sauna, two VIP cabins with queen beds and one guest cabin with two twin beds.